Valeriano Orobón Fernández has left deep traces of his passage through the international workers movement. Max Nettlau and Rudolf Rocker felt that he exhibited inestimable qualities of talent and revolutionary vision. Few of the authors of the militant workers movement can compare with him as a writer. If we abide by the authoritative assessment of Manuel Buenacasa, a founder of the CNT and the leading libertarian historian, after Anselmo Lorenzo, only Quintanilla might be a candidate for such a comparison, because of his vast knowledge and exceptional skills as a writer and public speaker. 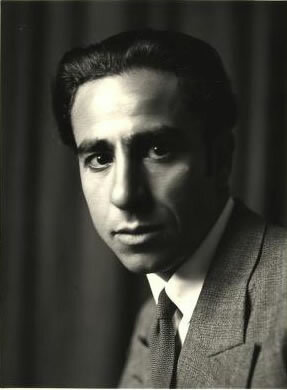 Orobón Fernández was undoubtedly the most powerful factor in the miracle performed by the Madrid CNT when it put an end to the monopoly of parliamentary socialism in the Spanish capital. No militant of the “old CNT”, as it is often contemptuously called by persons lacking in historical knowledge and discernment, can be unaware of the enormous amount of effective activity in which Orobón engaged during the years of the Second Republic within the ranks of the Madrid CNT, participating in public meetings and writing articles for La Tierra, a combative journal whose contributors included some of the greatest figures of confederal journalism—Eduardo de Guzmán, José García Pradas, Ezequiel Enderiz—and for the pages of CNT, an official daily newspaper of the National Confederation of Labor, led by another great libertarian intellectual—Avelino G. Mallada—who, like Valeriano, has most regrettably fallen into oblivion. When I first met Orobón, the Spanish Republic of 1931 was on the threshold of a political crossroads. Socialism emerged penitent and seriously weakened by its many years of Ministerial collaboration, with a truly discouraging result for the politicians, and a truly tragic result for the working class, which was unable to satisfy any of its legitimate and urgent demands. Working class unemployment, far from declining, rose to unprecedented levels, and talk of hunger was not just demagogic rhetoric. In the meantime, Capitalism, led by elements like Juan March, accurately characterized as the “Pirate of the Mediterranean” by Benavides in a popular book, as well as the reactionary generals, who had been relegated to reserve status at full pay in accordance with a decree issued by the Minister of War, Manuel Azaña, openly and with rare insolence conspired against the new regime. It can be admitted, as an element of analysis already employed by bourgeois historians, that the popular protests and the subsequent mass strikes led by the Confederation hastened the fall of the Republic, which was in any event inevitable, once the elections of November 1933 were announced, in which all the former allies of the past ran their candidates in isolation from one another. Republicans and socialists used the election to accuse each other of being responsible for the failure of the government, a government rich in academic discourses yet too timid to adopt the measures of an economic, social and military character that the change of course in our history demanded. The CNT, at its National Plenum of Regional Committees held in Madrid on October 30 and the first few days of November, resolved in favor of waging a vigorous campaign for electoral abstention, seeking to expose the grave errors of the republicans and socialists who, under threat from the right, governed the country against the basic interests of the working class, which had voluntarily joined the battles that the CNT had unleashed in order to escape the dead end of poverty, since the UGT was linked with republican politics because its leaders held high level positions in government Ministries. Largo Caballero, the General Secretary of the UGT, was the Minister of Labor and used his position in the Cabinet to implement a sectarian and discriminatory labor policy, provoking endless conflicts in an attempt to force the CNT to accept the rulings of the famous Mixed Commissions that he had created. Without prejudice to our convictions in favor of a workers alliance, we must add to the historical explanation for the causes of the civil war the obvious fact of the arbitrary and humiliating laws passed by the republican parliament with the intention of dismantling the CNT in favor of the General Workers Union. It is painful to recall the systematic and brutal repression exercised in the political process of the joint republican-socialist regime, although it might seem like child’s play compared with the methods of extermination applied by Franco after his victory. But historical imperatives oblige us to faithfully depict the image of the era, regardless of the psychological repercussions it might have on the minds of numerous Spaniards born since then and therefore practically ignorant of the truth contained in the painful accounts of those of us who in spite of everything consider ourselves to have been privileged to have lived through these tragic moments in the life of the country, participating in events that have necessarily been influential in the forward march of the world’s peoples. There is no doubt that the Spanish reactionaries were treated with kid gloves by the Republic, for the implicit and naive purpose of attracting capitalism, and its armed appendage, the army, towards the road of a more enlightened understanding, seeking in this way to reduce the likelihood of a “pronunciamiento” that those of us who were militants in the CNT saw as inevitable in the near future. In fact, however, it was obvious that the fascist forces were preparing to seize power with the support of the Church and the ruling oligarchy. The caballerista [pro-Caballero] faction of the Spanish socialist party began to lose interest in the game of mainstream politics and instead waged a propaganda campaign based on revolutionary rhetoric, and drew closer to the analytical conclusions of the libertarian movement, which was also preparing for an armed conflict that it saw as inevitable in view of the overall situation of Spanish society. An army that was practically in a state of open mutiny against the orders of the government; suspicious comings and goings on the part of right wing elements, involving countries that would later aid the military uprising; brazen conspiracies in which military and political figures participated, which symbolized revanchist sentiments and the hope of restoring the dictatorship. There was a very close mutual understanding between the militants of the CNT and the militants of Spanish anarchism—the most realistic of whom were members of the international movement—in their shared assessment that the process of revolutionary maturation had reached its culmination, but we did not have the same views concerning which method was appropriate for confronting the situation, in such a way that the working class would be victorious in the upcoming test of force that was becoming increasingly more obvious and more imminent. The Regional Confederation of Labor of Asturias, León and Palencia, after having given careful consideration to the question, as always—which conferred a greater effectiveness on its decisions—clearly asserted that the detonator that would inevitably set in motion the mechanism of the struggle between the proletariat and the most advanced elements of liberalism, on the one side, and fascism backed by the “nation’s backbone”, as the army was later called, would be the outcome of the elections scheduled to be held in November 1933. With this eventuality in mind and under the express mandate of the authorized representative institutions of the CNT of Asturias, we expressed our view at the National Plenum of Regional Confederations that, as our first and most essential task, we must try to fruitfully influence the political formulations of the leaders of Spanish socialism who are most influential in the political orientation of the General Workers Union and who, like Largo Caballero, were threatening to proclaim the revolution. According to the proposal we made at the Plenum, it was absolutely necessary for us to rapidly organize, on a national scale, a public campaign, by way of public meetings and rallies—in which the most capable and prestigious militants would participate—and by way of our press, with the collaboration of the most brilliant and accomplished writers of the Spanish libertarian movement, to convince the parliamentary socialists, and especially the workers enrolled in the UGT, who were clearly frustrated with the results of two years of socialist participation in government, that the only way to save themselves was to employ force against the aggression that was being planned by our enemies. We also urged that we should seize the initiative and take measures to abort the ongoing preparations of fascism. The majority of the Asturian confederal militants were certain that concerted and energetic action on the part of the proletariat of both national trade union confederations, even if not completely victorious, would prevent the army from synchronizing its plans and choosing the most favorable moment for launching its extermination operation. I think that any impartial observer can now see just how right we were. The revolutionary strategy that was instead adopted at that memorable Plenum, despite the relentless efforts of the Asturian delegation, considered any kind of cooperation with the UGT to be vulgar “reformism” at a time when we were ready and willing to establish libertarian communism. In any case, if the socialists, as we [Asturians] claimed, were inclined to conquer at the barricades what they had so resoundingly lost at the voting booth, then the alliance would be opportune and advantageous; the other delegates to the Plenum were content with unanimously proclaiming that we would then join with them, in the streets. Such manifestations of confidence in our power contained more than a little unwarranted arrogance, although not as much as we would have to witness a few years later, and also now, since the end of the civil war. But that is material for another history. No one except Valeriano Orobón Fernández wanted to listen to our speeches that were inspired by the intention of convincing our listeners, warning them of the danger the working class would incur by squandering its opportunities and wasting the precious patrimony of energies, which had been built up by the CNT, on necessarily limited subversive uprisings, without trying to win over to our views a force to be reckoned with like the one represented by the General Workers Union [the UGT], and precisely at the historical moment when this fraternal working class organization was coming closer to our strategic interpretation, and thus considerably increasing the chances of a proletarian victory. We already foresaw the urgent need for the Alliance, despite the fact that the immense majority of historians, deceived by their sources, have attributed the responsibility for this initiative that redounds to the revolutionary glory of the Asturian region to non-libertarian elements in another region of Spain. “If you can’t convince them,” he continued, “we should get together for dinner and discuss the situation.” To have been in the presence of a man of such intellectual caliber and moral integrity, and real dignity that did not succumb to any vain temptation and who knew how to court unpopularity when his conscience demanded it, is one of my greatest personal satisfactions. For Orobón was an example of integrity, like Quintanilla, Ascaso, Peiró, and a few others I have known in my 50 years of experience, men who had nothing in common with personalities composed of contradictions and renunciations, men who know how to steel themselves to a situation of always swimming against the current, although reason and general interests, being more concerned with fanning the flames of fanatical devotion to the organization than with enhancing the strength of the revolutionary workers movement, indicated a different, more positive course. At a little restaurant in Madrid, very close to the building where the Plenum was being held—the offices of our national newspaper, CNT—I spent an unforgettable and enjoyable hour and a half talking with Orobón, after which I was entirely won over by him; he was a man for whom speaking came easily, extremely easily, I must say. Not even a single flaw in his careful grammatical construction. Beautiful mode of expression, a firm tone and perfect images. It was like listening to Quintanilla, but in a more combative state of mind, with a harder temperament and a more incisive will, an improved version of the brilliant elegance concerning which he was our teacher and educator. During the course of our conversation, I spoke at length on the topic of the Alliance—which I had advocated at the Plenum with such confidence, such command of the topic and such conviction, that I was predisposed to accept defeat with greater equanimity. I returned to Gijón, morally prepared to carry on the fight on behalf of the Alliance, alongside José Maria Martínez, Avelino G. Entralgo and many others among the large group of militants who succeeded in convincing the Asturian proletariat of the correctness of the revolutionary strategy of the Alliance, which was destined to give the world the most important revolutionary example in the history of the Spanish working class up until that time. An experience that would later be capitalized on by many of its enemies in order to harvest the acclaim of the multitudes who were swept away by the uprising and who were unaware of the about-face performed by the opportunists, who were also abundant in the camp of the most radical extremists, which was to confirm our opinion concerning people who take advantage of the correct insights of others in order to win the glory for themselves. The reality of the fascist danger in Spain [for many people this danger was a boogeyman invented by the Asturian supporters of the Alliance] has seriously posed the problem of unifying the revolutionary proletariat for action on a more extensive and radical scale than any merely defensive action. Now that the possible political solutions of the present situation have been reduced to the single and antithetical terms of fascism or social revolution, it is logical that the working class will do whatever it takes to win this game. It knows quite well what is at stake. It is for this reason, and not by virtue of a pathos imported by certain interests [a reference to the farce of the united front of communism], that the Spanish workers are today instinctively converging in their appreciation of the need for a class alliance that will put an end to the internecine squabbles within the proletariat that have been provoked by factions, and that will enable the workers front to perform tasks of historical importance…. The Asturian working class was profoundly instilled with this instinct for proletarian unity against the imminent threat of fascism, and the region’s CNT could not disappoint the legitimate hopes that were the legacy of our revolutionary traditions and our inclination to reach a fraternal understanding with the UGT. Valeriano Orobón Fernández, in the press, at meetings and in his private correspondence—which has probably disappeared forever, to the great detriment of any attempt to reconstruct the political and revolutionary history of Spain—unambiguously supported the collective action undertaken by the Asturian Regional Confederation. He remained in touch by mail with José María Martínez, who informed me concerning the contents of this correspondence, after the famous National Plenum of Regional Confederations, where the resolution in favor of abstention was approved. Asturias supported this resolution, as a matter of doctrine and tactics, although our understanding was defective because, once the possibility of a reverse-course by the Marxists in favor of an inevitable and redemptive subversive action was unequivocally established, we persisted in repudiating all formal contact with the UGT, expecting that this contact would instead take place at the barricades, barricades that no one erected in Spain outside of Asturias. Opposing the view of those who sought to take advantage of the popular discontent with the incompetence and timidity of the Republican government when it came to implementing the radical methods demanded by the grave problems that afflicted the nation, but who believed that all that was necessary was to organize a combat vanguard to liquidate the capitalist system, were Valeriano Orobón, the Asturian Regional Confederation as a whole, and numerous militants in various other regions of Spain. None of us shared the unjustified yet widespread sense of euphoria, a euphoria that was based solely on a disparate mixture of desires and hopes that often fatally obscured all analysis and transformed something that was nothing more than an illusion into an expectation. After an intensive public campaign in favor of abstention carried out in every part of Spain, which, due to its scale and its positive reception made a big impression on all the political forces of the country—that was when Durruti and Orobón Fernández spoke on the same platform at the Plaza Monumental in Barcelona—the Regional Confederation of Aragon, Rioja and Navarre went on the offensive and Libertarian Communism was proclaimed in quite a few towns in that zone, as a harbinger of what would happen in those areas when the civil war began. The movement was defeated, and a terrible wave of repression ensued which affected the CNT as a whole, and once the detainees were released a few months later, another National Plenum of Regional Confederations was held in Madrid in June 1934. We (José María Martínez and I) represented the Regional Confederation of Asturias, León and Palencia at this Plenum—where the question of the Workers Alliance, which had already been approved by our Regional Confederation, was discussed at length. The first sessions were devoted to a detailed report on the recent revolutionary movement in Aragon, due to the resolutions of the previous Plenum, a movement that, as we (the Asturians) had foreseen, led to a brutal wave of repression that seriously undermined our power, when it was most necessary to husband that power for the events that we would soon have to face. Buenaventura Durruti—with whom I had spent some time in the Torrero prison in Saragossa, which enabled me to carry out an exhaustive analysis of the Aragon revolt—said, without beating around the bush, that the only consistent position, when the hour of truth arrived for the conduct of each Regional Confederation, was that of the Asturians, which, besides warning in advance about the failure that was in store for them as an element of study for the delegates, supported the uprising, declaring the general strike of support and solidarity, to the full extent of its abilities and in conformance with its professed ideals. The Regional Secretaries of the CNT, while we were being held in the Torrero prison, awaiting trial on the charge of instigating the Aragon insurrection and of being responsible for its repercussions throughout the Peninsula—we were transferred to Saragossa in the custody of heavily armed guards—carried on discussions concerning the problem of the Alliance. With rare exceptions, the dominant view was opposed the pact between libertarians and ugetistas [members of the UGT, the General Workers Union], but when we saw the latest issue of the Madrid La Tierra, with its sensational articles by Orobón defending our position, the framework of the debate, and even its basic terms, began to change. Orobón was a man who commanded respect, a man who was not tainted by the slightest hint of “reformism”, an accusation that was always the last resort of second-rate polemicists. It is true that we were far from convincing the majority—even though a state of subversive exaltation still persisted among the young people and militants of Aragon, who would later be criminally exterminated by the rebel traitors in July 1936—but thanks to the efforts of Orobón, the tendency in favor of the Alliance obtained a warmer welcome and we must be allowed to suppose that, had circumstances not precipitated an early outbreak of the events in October 1934, the presence of Valeriano in the camp of the workers alliance would ultimately have tipped the balance in our favor. This is proven by the fact that the CNT, opposed—as we have seen—to any formal pact with the UGT, adopted a strategy similar to ours at the first National Congress held after the Asturian October, which took place at the Iris Theater in Saragossa, beginning on May 1, 1936. With regard to this particular Congress we would like to make our contribution to the historical record with certain clarifications that will reestablish the truth, which has sometimes been regrettably falsified, more often as a result of haste than malice, as is revealed by so many claims that are utterly lacking in any factual basis. For instance, when it is said that Buenaventura Durruti attended the CNT Congress at Saragossa, for example, or that he was released from the Torrero prison in the spring of 1934, as a result of a general strike, when in fact we were both released at the end of April, after having been incarcerated in the old Burgos penitentiary, where about ninety of us, all members of the CNT, had been transferred—for insubordination—including Durruti, Isaac Puente, Cipriano Mera, Antonio Ejarque, Joaquín Ascaso, the Ucedo brothers, Francisco Foyos and many others. I must also insist—without waiting for the publication of another book about October 1934—that one of the most important resolutions of that Plenum belies the alleged lack of discipline of the Asturian Regional Confederation, an allegation that was circulated through the press and magazines by people who were diligently seeking arguments in favor of a rejectionist position that was otherwise hardly defensible. The delegates, incapable of discovering a formula that would reconcile our unshakable position in favor of the alliance and the isolationism advocated by the other delegations, resolved that it was necessary to resort to a showdown on a national scale to make the final decision, by way of a referendum and voting, on the question of our Region’s proposal. As a result, the National Committee was mandated to convoke a national congress of trade unions within three months, and it was further stipulated that this congress’s resolutions would be binding on all the Regional Confederations, so that Asturias would have to rescind its support for the Alliance, if the majority of the delegates freely and openly voted against it. On the other hand, however, if the congress were to approve a resolution in favor of the Asturian position, the Workers Alliance—which did not exist outside our region—would be automatically extended to the rest of Spain. In October—four months after the Plenum we are discussing—the armed insurrection broke out in Asturias, and there is no evidence that the mandated congress was actually being organized, which spared it from having to accept any responsibility for the revolt, although no one was spared the effects of the revolt’s defeat. Another false argument, wielded by those who were opposed to our assessment of the needs of the moment and the application of the consequent strategy imposed by the results of our analysis, is the one that claims that the revolutionary movement was launched by the Executive Committee of the Asturian socialist party, with its offices in Oviedo, and that the CNT played a secondary role. Those of us who participated in the preparations for the uprising—almost all the libertarian militants of the region—knew that the CNT-UGT Alliance Committee had already chosen the moment to go into action: when the CEDA (Confederación Española de Derechas Autónomas—the Spanish Confederation of Independent Right Wing Organizations) obtained posts in the Cabinet. Late on the night of October 4, 1934, the appointment of three members of the CEDA to Cabinet positions in the Lerroux government was announced, triggering the struggle on the morning of October 5, as planned. Always oriented by historical imperatives, we cannot tarry in the nebulous regions of the inveterate habits of the General Workers Union and the Spanish Socialist Workers Party with the same sense of impartiality that we applied to our examination of events within the ranks of the Spanish libertarian movement. Doubts regarding the reliability of parliamentary socialism and its vacillations at the moment of truth, explain to some extent the passivity of the libertarians outside of Asturias. On the other hand, the collapse of the Marxist forces that had promised to join the struggle, limiting their presence in our region, once again revealed the limited revolutionary capacity of organizations that entrusted everything to the decision of a leadership cadre … deliberately neglecting to cultivate solid individual consciousness, which is, in the last analysis, what gives life to collectives. I remember the speech Orobón Fernández delivered at that time, at a big rally organized by the Confederation in La Felguera, the land of men whose libertarian credentials are beyond dispute. It is quite possible that some Asturian newspaper may have summarized that brilliant speech—magnificent in form and in content, like all his speeches—but with the sole assistance of the memory of an attentive observer, we recall that it was an accomplished report on the sociopolitical reality of Spain, which impressed the large audience by the confident way that Orobón handled historical details and by the skill with which he described the dire threats that hover over our future, later confirmed by the events that comprised the tragic conclusion of a historical cycle. When the last stage of the illness that concluded by snuffing out his life in the bloom of youth made its brutal appearance, there was talk, among the Asturian confederal militants, of organizing a series of conferences under the chairmanship of Orobón Fernández at the most well-known cultural centers of the region. Without entirely discounting the indispensable task of proselytizing among the Asturian workers, these conferences were also an attempt to discuss human and intellectual values with the university elements of the province to demonstrate—by way of the impassioned words of a man who had spoken from the tribune of the Madrid Ateneo [workers’ cultural center], a rare privilege that he shared with Avelino González Mallada, Ángel Pestaña, Salvador Seguí and Eusebio Carbó—the practical and realistic nature of our ideals, the timeless validity of the methods of struggle that have made the libertarian syndicalist movement a powerful and unvanquishable force, and the superior moral conception of our eternal message of the fight for freedom for everyone, everywhere. In homage to Orobón Fernández and ignoring the clamor of irreverent and narrow-minded mentalities, which seek the human level just above the ground, we say that every libertarian must feel a profound concern, a constant imperative, a consciousness of rising towards the level of figures like that of the man we are now recalling, in order to more effectively fan the flames of the emancipatory zeal of the proletariat and spread our human ideal, creating the climate of confidence and fraternity that prefigures and anticipates our ideal city.